Here's another Doctor Who picture. You know you want one. 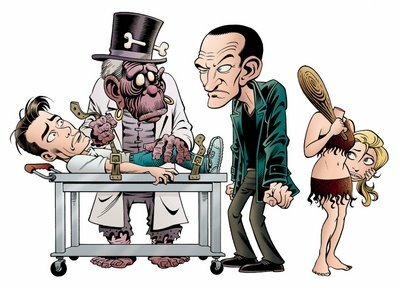 This may well be the first time the Doctor has met a character from a Carl Barks comic (Bombie the Zombie, from the classic Donald Duck story Voodoo Hoodoo), but I do hope it won't be the last. That's just beautiful. Love the overall composition, and the cave girl especially.